Keith has extensive experience in the recruitment industry working specifically in this profession since early 2001. As principal of Cantlie, Keith, along with fellow Director Anne Cantlie, has established a leading specialist talent management firm in Canberra which has demonstrated its reach, reliability and results to a broad range of public, private, educational and not for profit clients. Keith along with his team of specialist consultants provides services in the areas of executive search, talent sourcing and HR Advisory. Keith’s people skills, strong business acumen and sound judgement have enabled him to build a “trusted adviser” relationship with his clients, through which he has been able to develop workable and innovative solutions in relation to their people needs. This approach and focus has created a new benchmark for recruitment services in Canberra, earning Keith a solid and respected reputation. Keith is a registered employment agent in the ACT and member of the Recruitment and Consulting Services Association (RCSA). 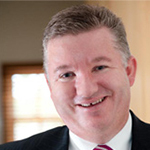 He holds an Associate Diploma of Business in Management and is a member of the Australian Institute of Management, Australian Institute of Company Directors and the Canberra Business Chamber. Prior to starting his own business, Keith’s career was with an international specialist recruitment agency, within several Commonwealth government departments and a major Australian Bank in the areas of operational and customer management, change management and financial services.